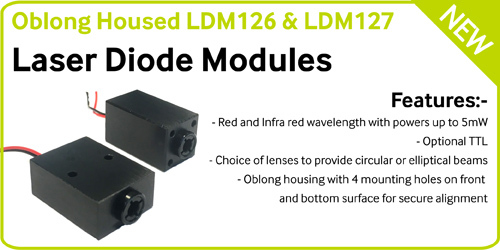 To meet continued demand for low cost laser diode modules for precision alignment purposes, Global Laser Ltd is pleased to announce the new LDM126 and LDM127. Both of these products features oblong housing which allows the user to reference the laser to a mounting surface using either the front or bottom surface. Both of these surfaces have a choice of mounting holes which can be used for securing the laser or for alignment. The optical axis is aligned to the housing. 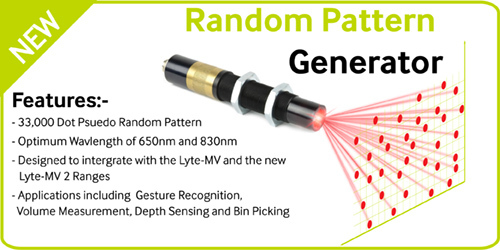 The flat surfaces allow superior heat sinking of the laser, compared to conventional cylindrical laser modules. 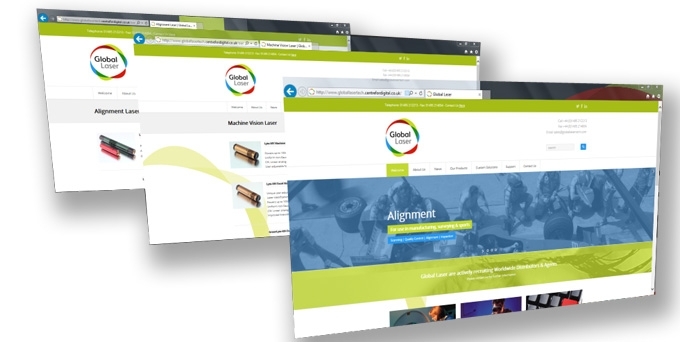 Available in wavelengths’ of 635, 650, 670, 780 & 850nm with power up-to 5mW as standard. It requires an operating voltage of 5Vdc and features an isolated body. 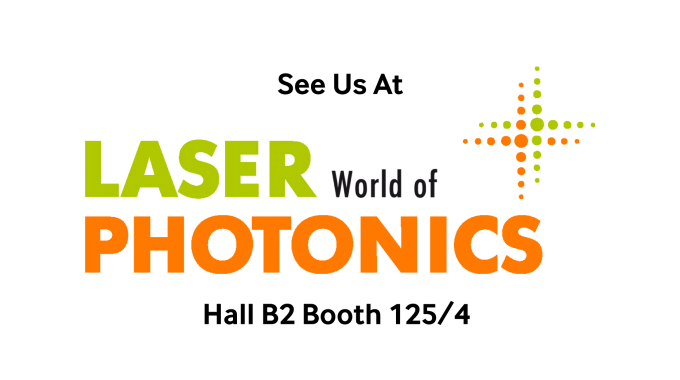 As a further enhancement for both laser models is that it can be specified with a TTL modulation input with a bandwidth up to 100KHz. A choice of two collimating lens are offered. The “G” model use a glass lens with an elliptical output beam, the “P” mode use a plastic lens which produces a circular output beam with a lower beam divergence. Both models have user adjustable focus.